Joan studied piano at the Royal Irish Academy of Music, and Music and German in Trinity College Dublin, followed by a Diploma in Arts Administration in UCD. She worked for seven years as an arts administrator and manager in the Performance Programme Department of Music Network, the national music development organisation, before moving fully to teaching. She is a well-established and experienced piano teacher as well as group recorder and choral teacher. She also is director of the Junior Choir for the Parish of Newcastle in Co. Wicklow with monthly performances. 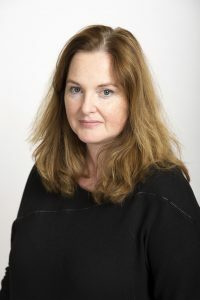 She is currently teaching piano, choral and recorder classes in six primary schools in North Wicklow, the majority of which are as a Music Generation tutor. Joan also sings with the RTE Philharmonic Choir with regular performances in the National Concert Hall with the National Symphony Orchestra.